Sun: prefers full sun / Soil: Well drained soils. Tolerant of poor soils. 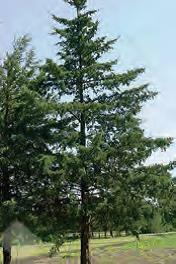 This evergreen is native to all of Iowa. Eastern Red Cedar is widely planted for wildlife habitat, windbreaks, shelter belts, and soil conservation. Very drought resistant and deer resistant. Provides excellent wildlife cover and produces bluish berries that are good for wildlife food. The tree can appear reddish-brown during the winter months.